Mellon Hall is one of seven buildings named for notable secretaries of the United States Treasury at the suggestion of George F. Baker. 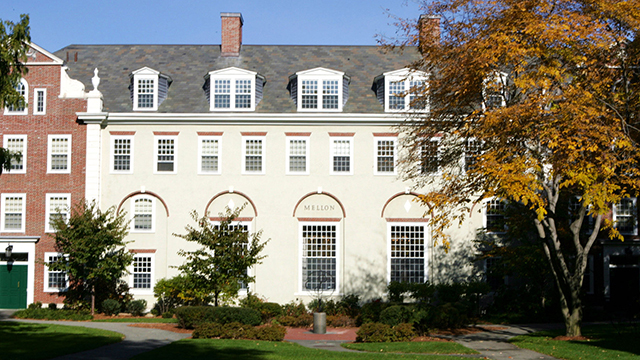 Mellon Hall is named for Andrew W. Mellon. Built in 1926 as part of the original HBS campus plan, Mellon Hall was designed by McKim, Mead & White as a student residence hall. Over the years, the building has served a variety of functions, including Executive Education housing and—during the 2003-2005 renovation of Baker Library | Bloomberg Center—as faculty office space. The brick-faced, Georgian Revival-style building was extensively renovated in 2000 to provide 72 single rooms with private baths and to meet modern accessibility requirements. During the project, which was led by Finegold Alexander & Associates architects, some of the 47,697-square-foot building’s original interior architectural details were restored, and exterior renovations were undertaken to improve its facade. The building is now being used as an Executive Education residence. Mellon Hall is one of seven buildings named for secretaries of the US Treasury at the suggestion of George F. Baker, the prominent banker who funded the construction of Harvard Business School’s original campus. The building was named for Andrew W. Mellon (1855-1937), who was appointed treasury secretary by President Warren G. Harding in 1921 and continued to serve under Presidents Calvin Coolidge and Herbert Hoover until 1932. Mellon transformed his family’s Pittsburgh bank into one of America’s preeminent financial institutions. In the process, Mellon amassed a personal fortune comparable to Baker’s own. Mellon’s fiscal philosophy was one of debt reduction and the lessening of taxes on big business, along with maintaining a balanced budget. While these measures had favorable results before 1929, with the coming of the Great Depression, Mellon’s emphasis on balancing the budget by cutting spending and increasing taxes on the average person drew criticism. He resigned in 1932 and became ambassador to Great Britain. 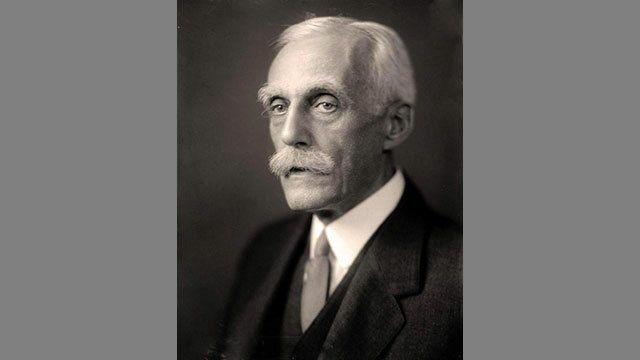 Throughout his life, Mellon donated much of his time and considerable sums of money to philanthropic causes.